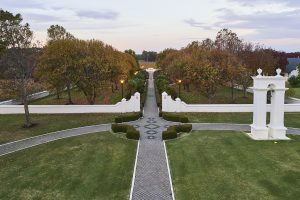 The gardens are defined by straight lines, elaborate low walls, and manicured hedges. Photo courtesy Rebecca Mansell. Behind every great wine is an equally great garden. 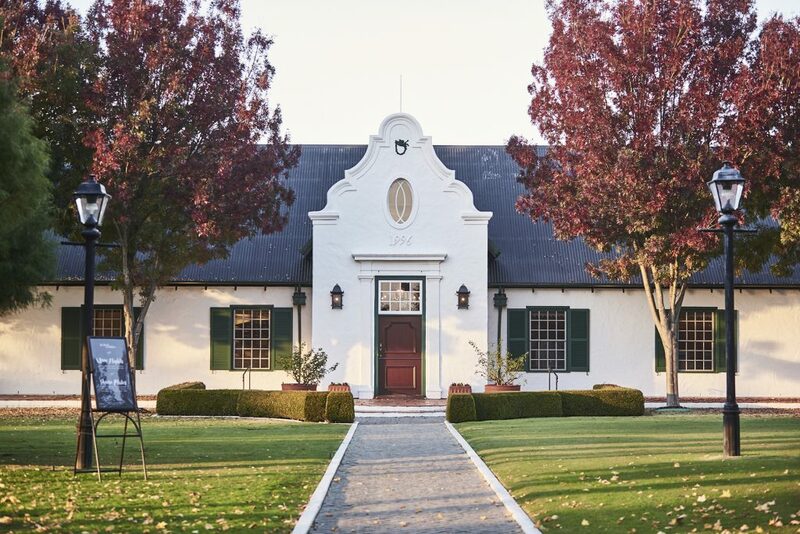 The reason is simple: the same fastidiousness and attention to detail needed to create a first-class wine inevitably flows through to the management of the wider estate and its grounds. You can, indeed, judge a vineyard by its groundcover. 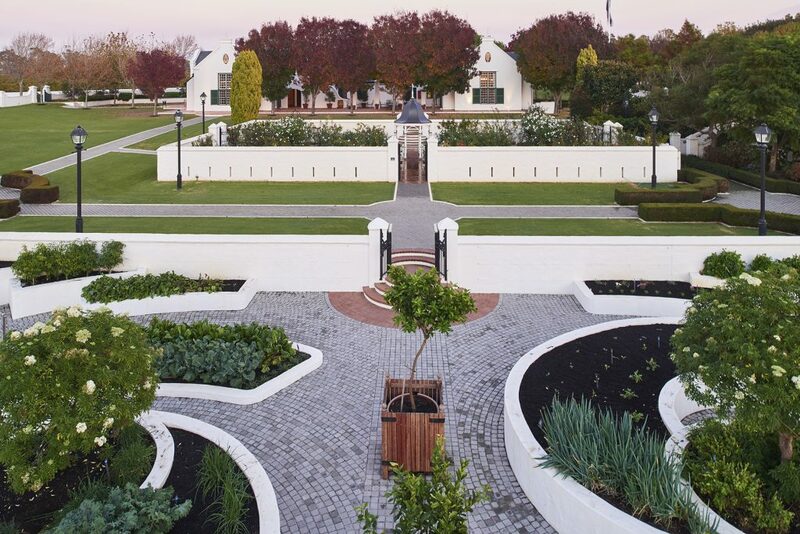 Comprising vineyards (115ha), adjoining farmlands (200ha, some leased), manicured gardens (3–4 ha), and native parklands (10–15ha), the Voyager Estate property is a mixed-use holding featuring diverse horticultural assets, each with its own style and character. 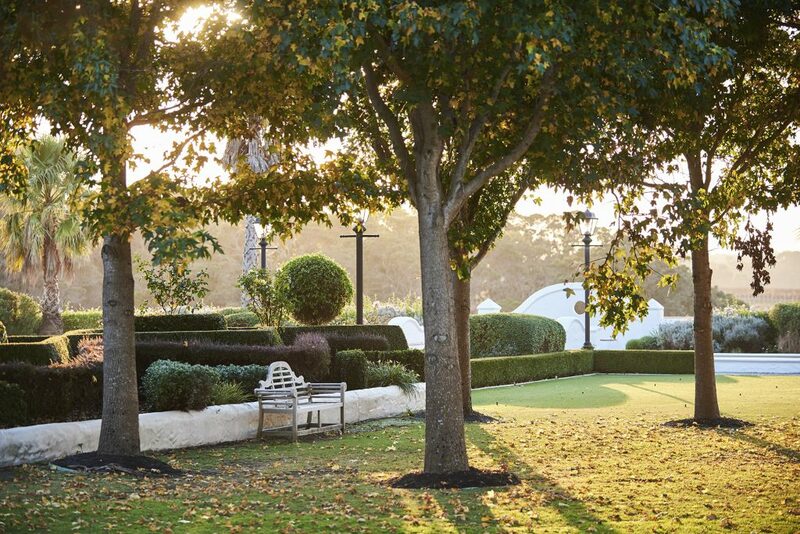 This article focuses primarily on the manicured gardens precinct, which includes a kitchen garden, wine tasting room and connecting restaurant, rose garden, four residences, three carparks, as well as 27 lawn and garden bed zones demarcated by hedges and pathways. Lynden Davies, Gardens and Maintenance Manager, has been maintaining the gardens and parklands for 11 years with the help of five full-time (equivalent) staff. A different team maintains the vineyards, while the farmlands are maintained by both vineyard and gardens teams. Maintenance of the gardens requires the attention of six full-time grounds staff. Photo courtesy Rebecca Mansell. The most eye-catching immediate feature of the garden is its unusual design, which was inspired by South African ‘werf’ landscaping principles. The term werf means ‘enclosure’, and refers to the tactic of using hedges or walls to keep foraging animals out of small patches of garden. Typical design elements include cobbled path surfaces, lots of 90-degree junctions, and substantial linear hedges. Day-to-day maintenance of the gardens is both time-consuming and intricate, Lynden says. This work, Lynden explains, can be both labour-intensive and noisy, which is far from ideal on a property that is open to the public seven days a week, and famed for its quietude and relaxed sophistication. The solution: make increasing use of battery-powered equipment (mostly backpack-style) as a means of minimizing noise, relieving weight from tools, and reducing unwanted smells and emissions. Another advantage of using battery-powered equipment on hedging, Lynden says, is a blemish-free finish. Petrol-powered equipment, he has found, can cause scorches and burns from oil spats. The team also uses several STIHL hedgers, including a plug-in electric unit reconfigured to operate from a belt pack. 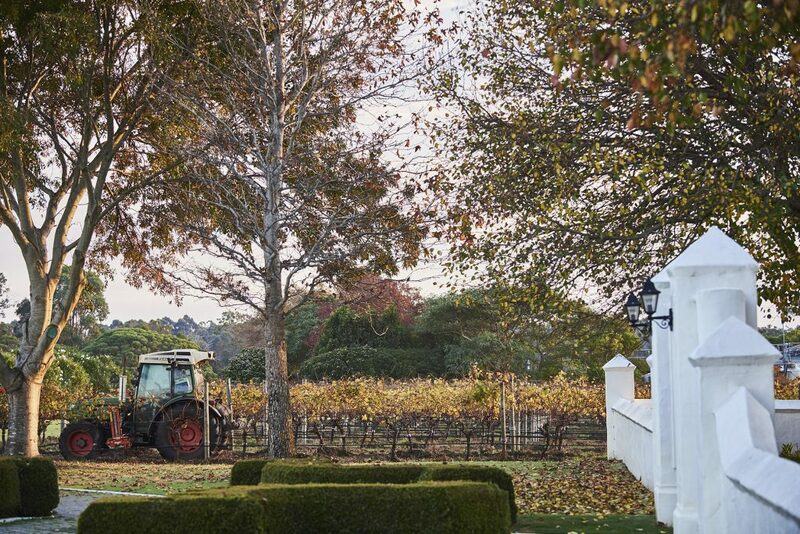 Voyager Estate in Margaret River, WA, features renowned gardens inspired by South African landscaping techniques. Photo courtesy Rebecca Mansell. In places where a more compact mower is required, such as the curtilage of the residences and some narrow strip lawns, the team uses a Mow Master walk behind reel mower. A significant difficulty, particularly in Autumn, relates to large quantities of leaf litter from mature deciduous trees, notably Claret Ash, Liquidambar, London Planes, Manchurian Pear, and other ornamental species, all of which can drop several trailer-loads of leaves per day at the height of the season. Lynden has mechanised the collection of leaf litter by using a zero-turn Ferris ride-on mower fitted with a fast vac and easy dump system. Using a zero-turn mower on fine lawns can be problematic, Lynden cautions, because of the risk of tearing up turf, but overall he says the Ferris is one of the property’s most valuable workhorses. Similarly, a recently purchased Kubota ZD1221-72 mower with a 72-inch deck is “an absolute beast”, and has greatly reduced the time required to mow the parklands. All these abovementioned machines, along with indispensable gear like four electric Toro ATVs, have become part of the estate’s core fleet of equipment following many years of ‘natural selection’ – i.e. the collection has evolved to the point where each unit is fit for purpose, efficient, and ideal for its application. And great product familiarity leads to refined usage; for example, the team uses an automatic filling kit to maintain precise ATV battery levels each week, preventing acid overflows onto the ground and extending the life cycles of the batteries. That said, Lynden says he is always keen to examine innovative equipment that might improve results or diminish workloads. “I suppose the Ferris is a good example of something we experimented with and it’s been a huge success,” he said. Not only does high-quality and reliable outdoor power equipment facilitate streamlined gardening excellence throughout the year, but it also forms a solid base from which to launch even more ambitious works. 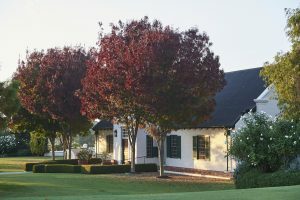 At present, Lynden says, the most formidable challenge facing the team is the estate’s decision to achieve organic certification of the winery. Though targeted most acutely at the viticulture operations, this certification has practical ramifications affecting the entire property. While the gardens have always been subject to environmentally friendly practices – the presence of a kitchen garden has mandated a focus on human health – the garden maintenance team has had to rationalise its use of chemicals that might be taken for granted elsewhere. For instance, glysophate-based herbicides like RoundUp are not permitted in certain areas of the estate (representing about 30 per cent of the total garden/lawn area) bordering the organically certified vineyard. Therefore, weed management has called for some radical and labour-intensive solutions, including oversowing couch and kikuyu with ryegrass to discourage weed establishment. In addition, the team has tackled the problem of lawns encroaching into the vineyards by creating a two-metre-wide, rotary-hoed buffer zone at the vineyard boundary. At the same time, mechanical weeders in the vineyards help reduce under-vine weed build up. These weeders, Lynden explains, are tractor attachments that effectively slice off weeds underground at the root before digging them up. Deciduous trees drop enormous amounts of leaves, which are collected with a Ferris IS 700Z mower fitted with a hopper. Photo courtesy Rebecca Mansell. Synthetic fertilisers are also forbidden in the certified zones of organically certified properties. This means synthetic lawn fertilisers, for instance, which might normally contain up to 20 per cent nitrogen, must be replaced with organic fertilisers containing a comparatively paltry 4 per cent nitrogen. As a consequence, the team must apply greater volumes of organic product with greater frequency. One blessing, particularly in light of climate change, is a steady water supply from three dams. There are three pumps running in cascade on each dam, either CR45s, vertical multistage or SP45s submersibles. This supply is released through an interconnected irrigation network across all zones of the property. 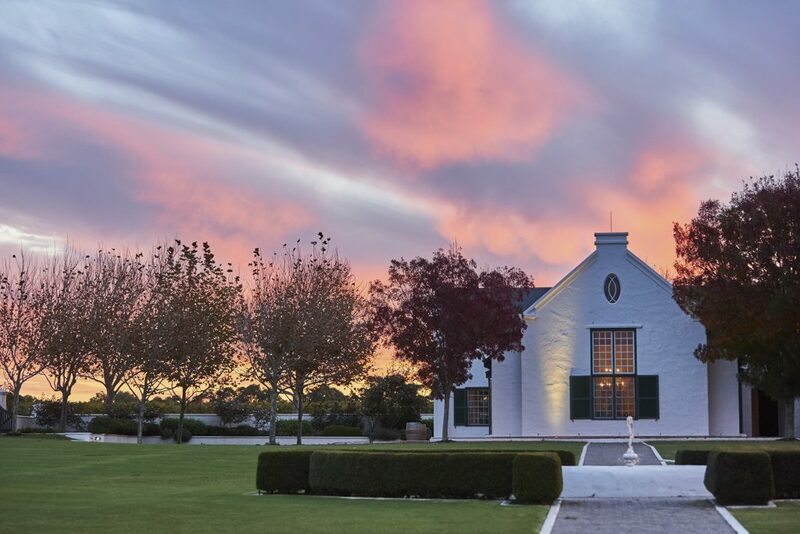 Needless to say, Voyager Estate is a prestige property with deep budgets for premium equipment. But, as we all know, top-class gear in itself is never a guarantee of success. 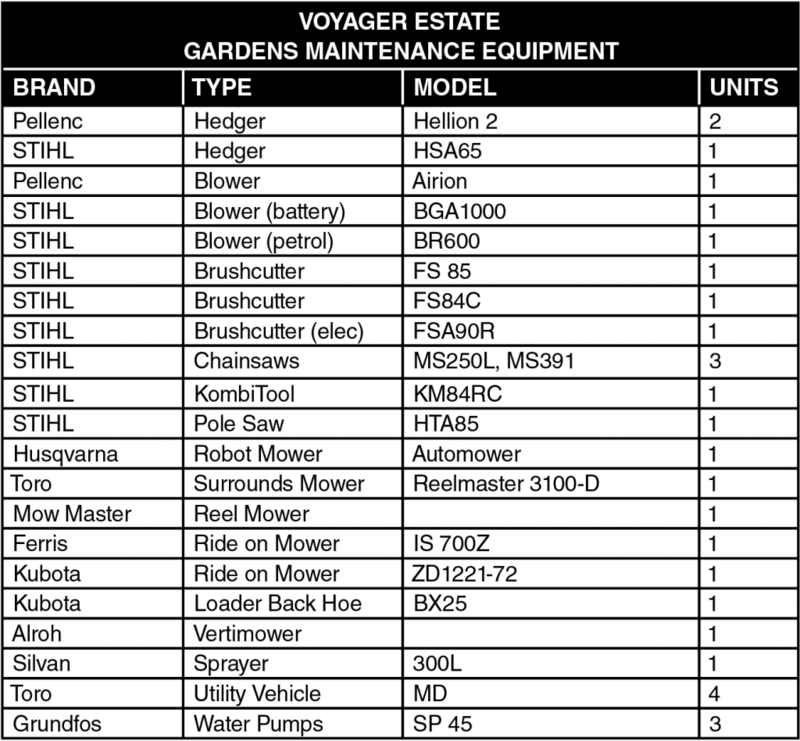 If there is one ‘take away’ message to be gleaned from Voyager’s operations, it is that deep professionalism is every bit as important as deep pockets. This expertise extends to a full-time mechanic on the property, thereby enhancing the self-sufficiency of the garden maintenance team, as well as a spirit of multi-tasking that sees all members undertake a variety of work across diverse portfolios. Within such a context of progressive interaction and shared responsibility, great wine is almost ‘a given’.